Draw a Venn diagram with motor racing in one circle and Swiss watchmaking in the other, and a Rolex Daytona should magically appear at the intersection. 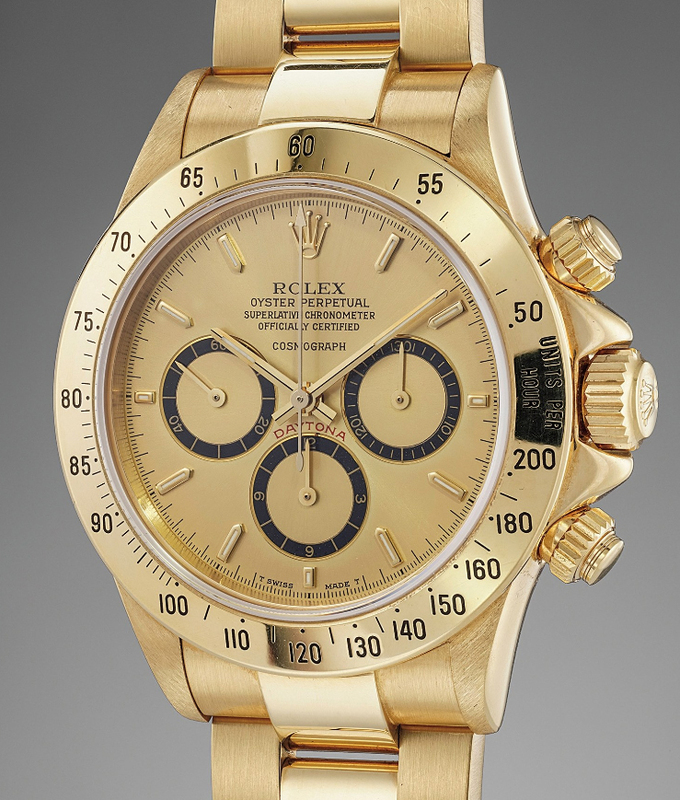 Little wonder then that a golden Rolex Daytona reference 16528, given as a gift by Formula 1 racing legend Ayrton Senna and signed by the driver on its case back, has been given a pre-sale estimate of $100,000 to $200,000 by Phillips, which is selling the watch at its Geneva Watch Auction: Nine auction next month. The watch was given to Angelo Parrilla, who discovered Mr Senna during their karting careers and brought to Italy by establishing a relationship with the then 18-year-old Brazilian and mentoring him to become one of the greats of Formula 1. 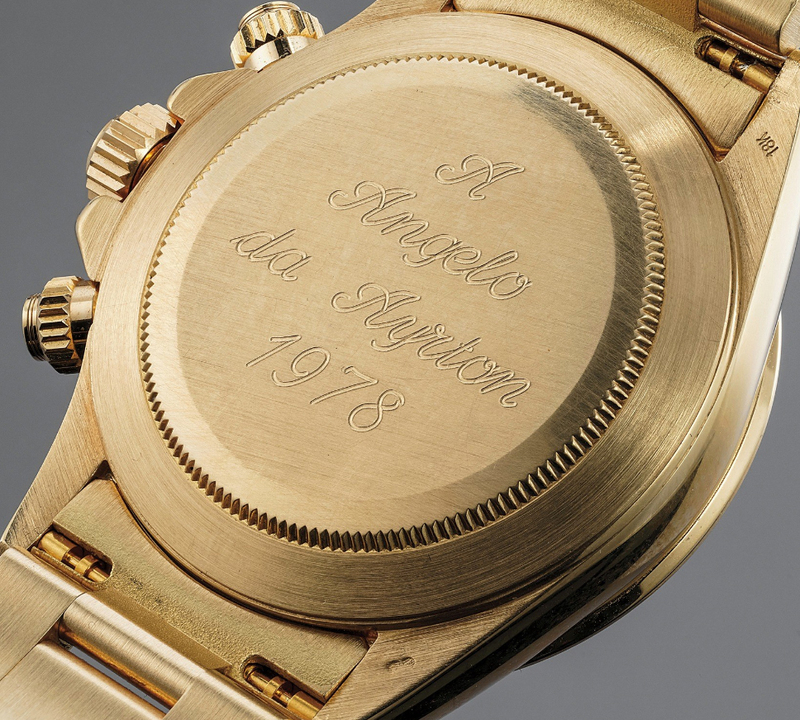 Mr Parrilla was given the Rolex Daytona reference 16528 as a gift in 1978, and its case back is engraved with the message: “A Angelo da Ayrton 1978”. Adding to the interest for Rolex obsessives, the watch is an R series 16528, the earliest iteration of Rolex’s first automatic gold chronograph Daytona. It has the desirable and rare floating dial and Mark 1 bezel prized by collectors. It is being sold with a signed face guard of Mr Senna’s driving helmet.